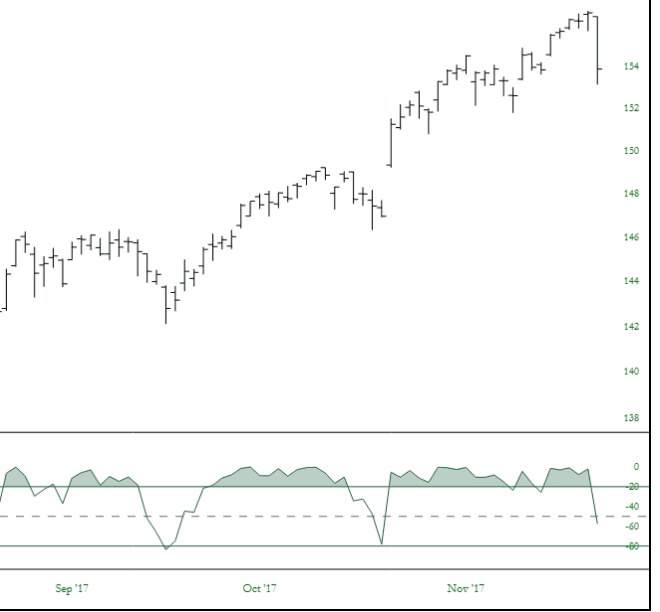 The Williams %R Indicator is an oscillator that helps indicate overbought or oversold conditions. The y-axis ranges from 0 (the very top) to -100 (the very bottom), and three horizontal lines provided important triggers: -20, -50, and -80, from top to bottom. The dashed line is at the -50 mark. The typical signal traders watch for it for the line to exit from either an overbought (top of chart) or oversold (bottom) condition and then cross the dashed midline. 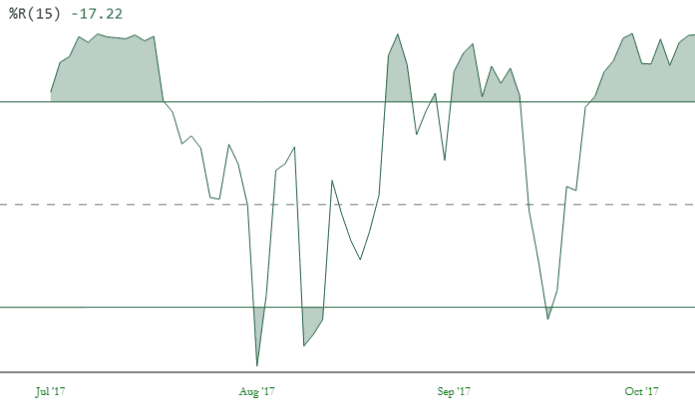 This indicates the overbought or oversold condition is probably complete and momentum has shifted the other way. In the example below, both of the movements higher were preceded by %R moving to the -80 line, reversing with a “V” bottom and then crossing above the -50 middle line.